As we all know, everyone loves our gorgeous city. It’s a top destination for tourists, and our fair city is always being featured on TV and on the big screen. Of course, with all the tourists, snowbirds and other visitors, comes – TRAFFIC! Traffic in Miami Beach is most definitely a nuisance, to put it mildly. And, unfortunately, along with traffic comes accidents. No one can predict an accident, but there are steps you can take to help prevent it and to be prepared before and after an accident occurs. To prevent an accident, it’s as simple as always being alert. Be aware of your surroundings. Steer clear of erratic drivers or drivers who appear lost, drowsy or overly aggressive. The best thing to do is to get out of their way – don’t try to pass them and definitely don’t ever approach them. And of course, the same goes for yourself – don’t drive aggressively, never drive drowsy (pull over! ), and if you’re lost, just pull into a safe area and figure out your route before getting back onto the road. Although these are common-sense tips to avoid accidents, all too often when we’re on the road, our minds are on a million other things and simple preventative measures might not appear as important. That’s why it’s imperative to keep these tips at the top of your mind! Trust us, you’ll wish you did if you end up having an accident that you know you could have prevented. Be sure you fully understand your auto insurance policy. Read through your policy, and if you have any questions or something seems unclear, call your agent and have them explain it to you. Take notes, if needed. Having a full understanding of your policy will help when it comes time to file a claim. Also, reviewing your policy and talking with an agent can likely reveal any gaps you may have in your coverage – at which time, you’ll be able to add on to coverage if you feel the need. Properly maintain your car. Adhere to your regular maintenance schedule for tune-ups, check-ups and other services, especially those involving tires and brakes. Exchange information (including names, phone numbers and insurance information) of the other parties involved in the accident. Get the names and phone numbers of any witnesses. File an accident report with law enforcement. Don’t let the other party talk you into settling it just between the two of you – even if the accident is small. Although you may feel fine now, sometimes injuries sustained in car accidents can be felt days after the accident, and it could become harder to hold the other party accountable without an accident report. 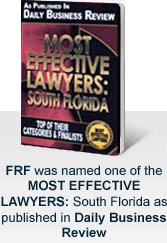 Call an experienced auto accident attorney. When it comes to car accidents, you don’t want to “go it alone.” You need a qualified lawyer on your side so that all applicable claims can be brought and handled within the appropriate timeframes. Automobile accident cases can be tough to handle by a non-lawyer because sometimes it can be hard to prove who is at fault and to prove damages suffered as a result of the accident. It’s important to determine the value of an automobile accident claim, primarily because there are both economic and noneconomic damages. Economic damages include medical bills, lost wages, car repairs and other damages associated with the accident. Noneconomic damages are ones that are harder to quantify, and that’s when you really need a good lawyer on your side. These damages are more subjective, and include mental anguish, anxiety and pain and suffering for which our lawyers are skilled at placing a value. If you’ve been involved in a car accident, please call our Miami Beach attorneys as soon as possible so we can quickly get started on your case to get you the full benefits you deserve. Call us now at (305) 448-8585, toll free at (877) 448-8585 or contact us online. We look forward to helping you should the need arise.